I was around the Merlion Park and saw a group of people all congregating looking or admiring something. I was curious and walk towards it. 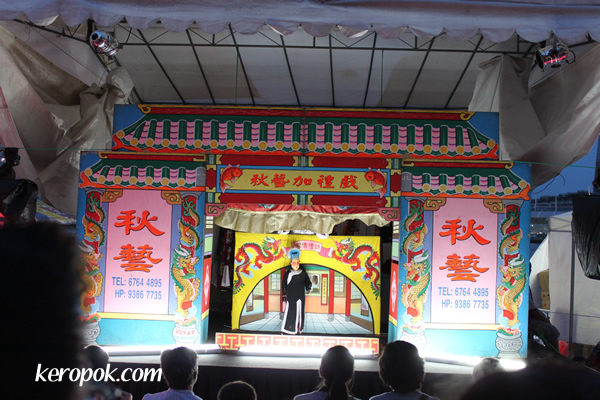 Oh, they are having a Hokkien String Puppet Show. Although Hokkien is my dialect, I only manage to catch half of what they were singing. Oh man, I need tuition for Hokkien lessons! This is a dying art. You seldom see these anymore. 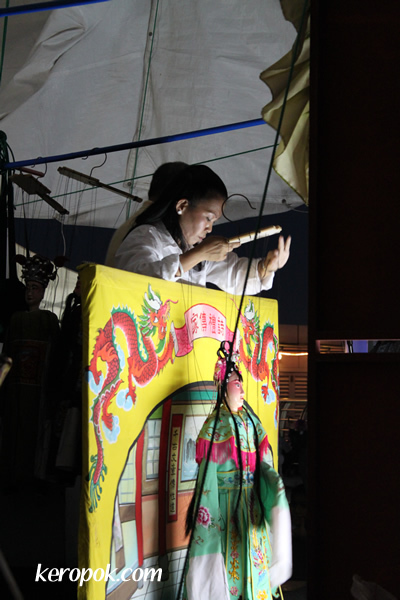 Look behind and you see this lady is manipulating the puppets and singing the story out at the same time! Do you enjoy these 'shows'? Are you able to understand them?